Jason Statham is like the only fast food restaurant in a small town. There’s really no other actor who can be counted on to deliver action films on a regular basis, and Statham fills that need at least once or twice yearly. Sometimes you just want a burger, and sometimes you just want to see Statham kick the crap out of someone. Killer Elite brought together Statham, Robert De Niro, and Clive Owen for playtime, and though the two others are relatively serious actors, here they’re playing on Statham’s turf. The results are a little sluggish, but deliver what’s expected. 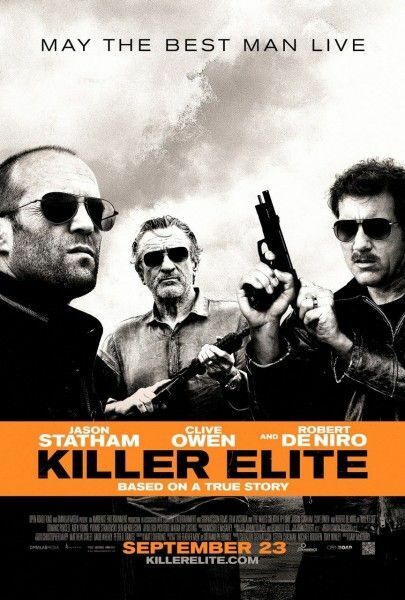 Our review of Killer Elite on Blu-ray follows after the jump. Statham stars as Danny, who – after a mission gone bad – drops out of the game of assassin work. A year later he’s dragged back in by his old partner Hunter (De Niro), who’s been taken hostage in Oman with the hopes of using Danny to finish the job. The assignment is to kill three former SAS agents, and the deaths must not only make it look like an accident, he also has to videotape it. Trying to get leads, one of Danny’s men gets the attention of Spike Logan (Owen), a former SAS agaent who works with the Feathermen to protect those in the family after they get out of the organization. Eventually Spike and Danny will collide. If the Killer Elite has a problem, it’s that it’s just too bloated for the story they’re telling. There’s probably a pretty great 90 minute movie in the material, but because of the nature of these films, it needed to move faster. For much of the film Danny has partners (Dominic Purcell, Aden Young), and there needs to be something clever done with those characters not to make their fates inevitable. The actors are fun in their roles, but still. Perhaps that bloat came from how the movie came together. 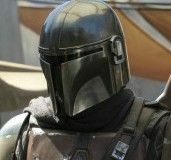 Adewale Akinnuoye-Agbaje shows up as an agent, and it seems his role was inflated to make it worth having him in the cast, while other actors appear to have been shot out of the film (De Niro seems like he was on set for a week, maybe a little more). There’s nothing wrong with getting foreign money to complete a film, it’s just unfortunate when that adversely hurts the end result. And of course De Niro is in paycheck mode here. He looks fine holding a gun, and you can tell he’s having a little fun making some money, but it’s another in a long line of films that he seems to be coasting through. When you’re De Niro you’re allowed. When the film is asked to deliver action, it is a bit of fun, and it at least builds to its best set piece, which has Statham fighting two guys while tied to a chair. And there are a couple of good moments like that which goose the film to life. But otherwise it’s close to being good, even with Owen vs. Statham. Still, it’s hard to complain because you know what you’re going to get even before the credits role. It’s Statham. Universal presents the film in widescreen (2.35:1) and in 5.1 DTS-HD master audio. The Blu-ray also comes with a DVD and digital copy. The transfer for the film is excellent, and it’s a nice action movie surround track. Extras are limited to 13 deleted scenes (10 min. ), which is surprising in a world of heavy supplements, but as Universal didn’t distribute the film theatrically, it may be the result of their having nothing to do with it.